i’m a little too excited about this, considering i’m planning not to touch this until it’s gloomy and winter and i need something springy in my knitting life, but my bee fields kit arrived today! i’m using tofutsies for these and they’re knitting up like a charm. this have been primarily a lunch-time knit, but it seems to be going quickly, anyway. (for me at least. i have a nice pair-a-month average going on at the moment.) i can see why it’s such a popular pattern though. very fun. Awww, yummy! 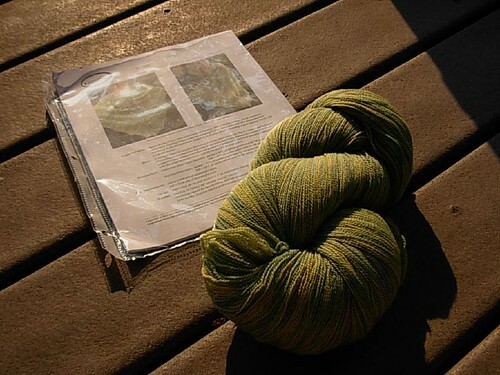 Your Bee Fields is going to look so gorgeous in this colorway – I can’t wait to see your first progress pics! 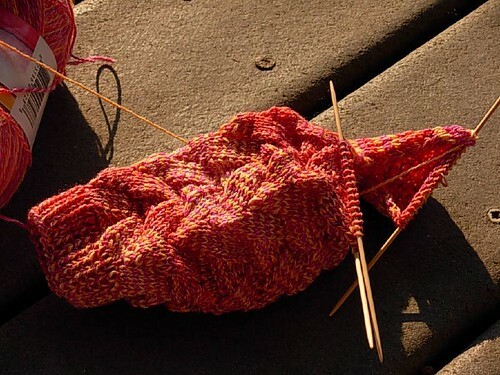 And I love how your Monkeys are coming along, one more very, very beautiful colorway! Happy Knitting!